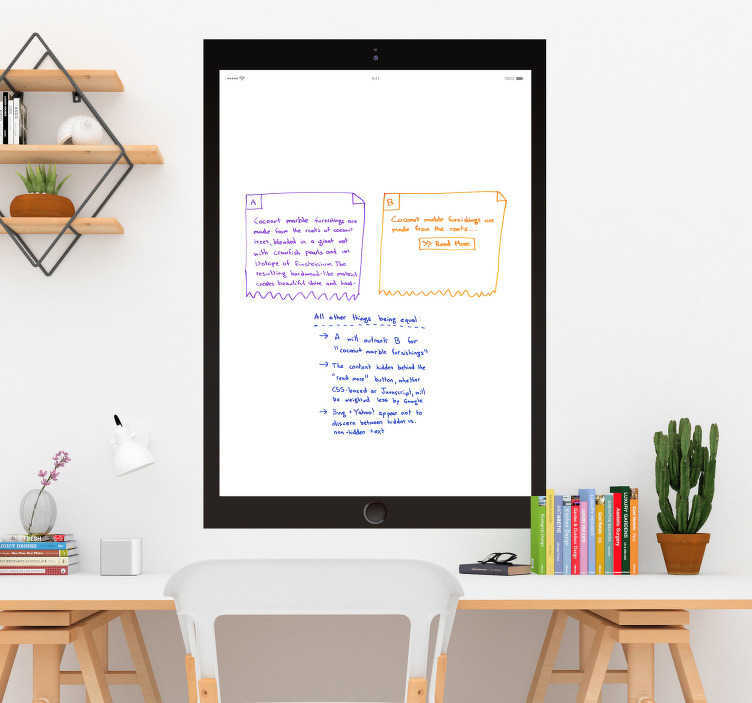 The iPad is one of the most well known and recognizable products in the world, so it only seems natural that we would transform it into a stunning whiteboard sticker! An ideal writing surface sticker for those looking to add some useful, yet unique office decor to their business! We have one ourselves here at Tenstickers - If that isn´t a seal of approval, I don´t know what is!